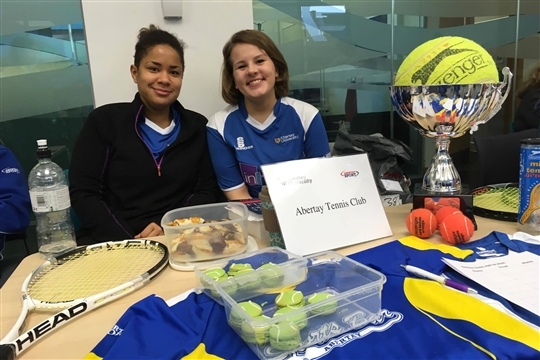 Welcome to Abertay Tennis Club, the fastest growing sports union club and 2017 Abertay sports club of the year! 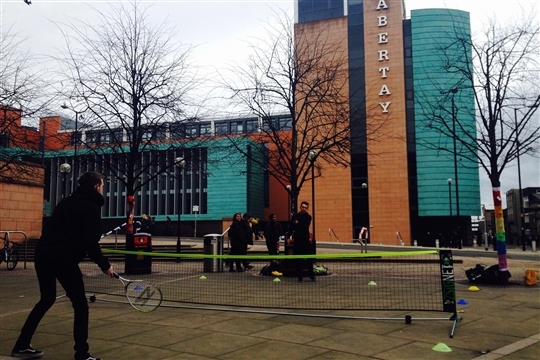 At Abertay Tennis, our focus is creating unrivalled sporting experiences for our members. We understand that moving to a university, country or balancing studies with a new lifestyle can be very challenging for a lot of students, and that is why we feel sport and physical activity plays such an instrumental part in getting the best out of yourself while your here. We are an LTA-accreditated venue, meaning you get a free British Tennis membership just for joining up and as part of this membership you are entitled to play any competitions in the UK and get access to Wimbledon tickets next Summer in the national Ballot. Our commitment to Abertay Sport has seen us support university-wide events; open days; community sport; lecturing and driving performance standards in sport to unprecedented levels at Abertay. This year, our goals are set higher again as we aim to grow the strands of our club membership to make it as lucrative as possible for new and returning students. We are moving to a larger venue, we are hosting / entering more competitions and players than ever before and our coaching programme is being managed by one of Dundee's most in-demand coaches in RTT. 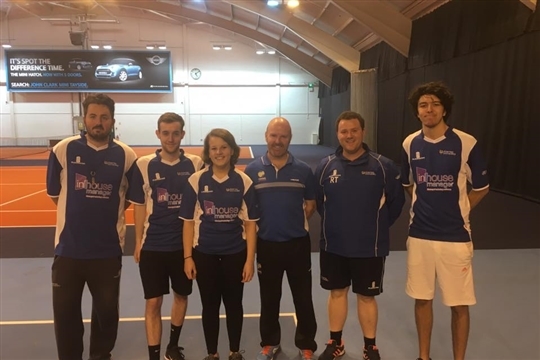 On top of coaching and competing, we are offering a larger-than-ever social programme, social tennis, professional development and qualification opportunities, the chance to travel to matches around Scotland with the Mens BUCS teams and Wimbledon tickets for next Summers championships! 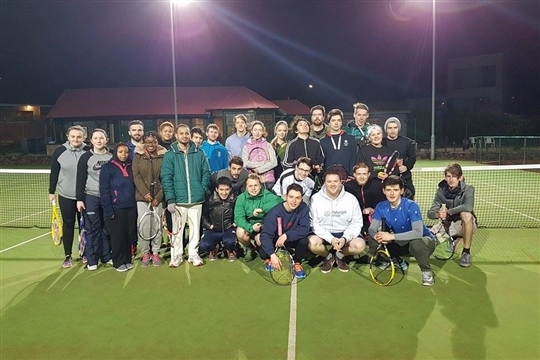 We take pride in our reputation for providing high quality sport in a fun student environment, and with a committee who aspire for real success in this Academic year, we hope that you consider Abertay tennis as the right club for you. Please click on the tabs above to find out more about who we are, what we offer and why you should be coming to the most thriving club at Abertay.